A new computer simulation helps explain the existence of puzzling supermassive black holes observed in the early universe. The simulation is based on a computer code used to understand the coupling of radiation and certain materials. Using computer codes developed at Los Alamos for modeling the interaction of matter and radiation related to the Lab’s stockpile stewardship mission, Smidt and colleagues created a simulation of collapsing stars that resulted in supermassive black holes forming in less time than expected, cosmologically speaking, in the first billion years of the universe. It turns out the Los Alamos computer model not only confirms the possibility of speedy supermassive black hole formation, but also fits many other phenomena of black holes that are routinely observed by astrophysicists. 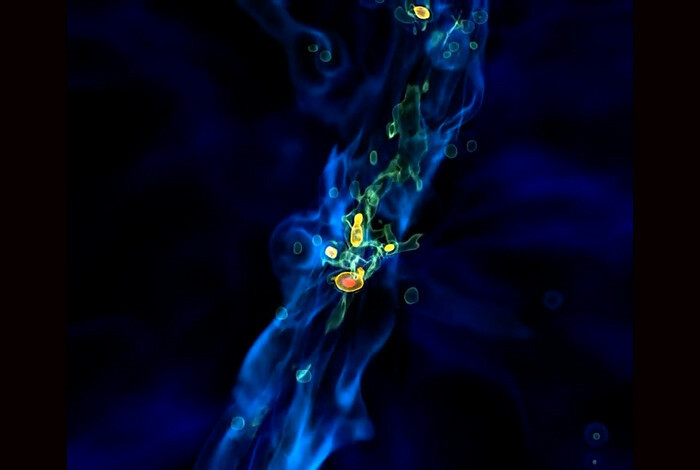 The research shows that the simulated supermassive black holes are also interacting with galaxies in the same way that is observed in nature, including star formation rates, galaxy density profiles, and thermal and ionization rates in gasses. A key mission area at Los Alamos National Laboratory is understanding how radiation interacts with certain materials. Because supermassive black holes produce huge quantities of hot radiation, their behavior helps test computer codes designed to model the coupling of radiation and matter. The codes are used, along with large- and small-scale experiments, to assure the safety, security, and effectiveness of the U.S. nuclear deterrent. Los Alamos National Laboratory’s mission is to solve national security challenges through scientific excellence. 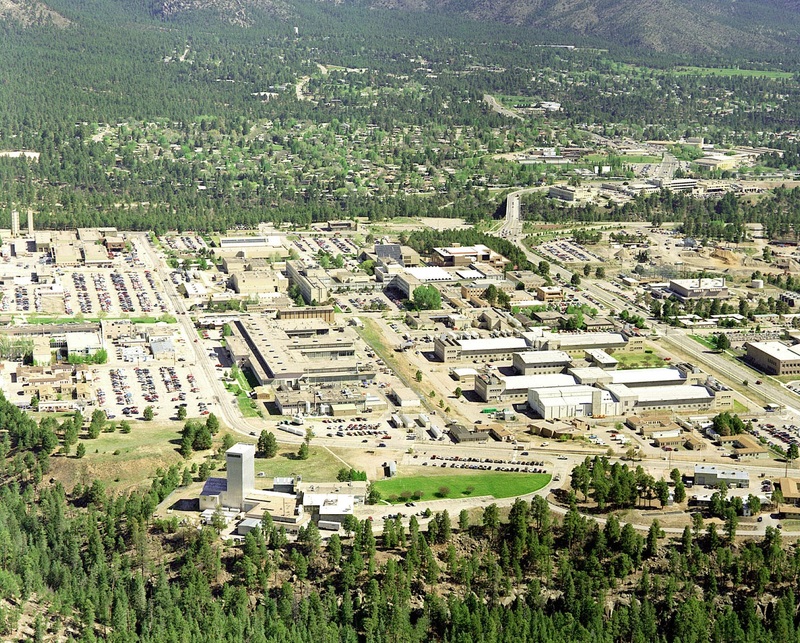 Los Alamos National Laboratory, a multidisciplinary research institution engaged in strategic science on behalf of national security, is operated by Los Alamos National Security, LLC, a team composed of Bechtel National, the University of California, The Babcock & Wilcox Company, and URS for the Department of Energy’s National Nuclear Security Administration.